To put it plainly; Cuphead is brilliant. 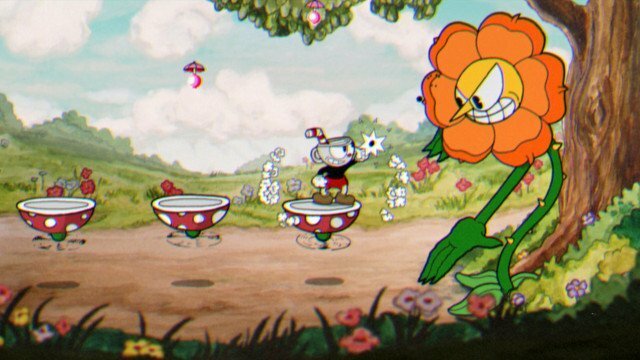 Designed by StudioMDHR to have the look and feel of a 1930’s cartoon, Cuphead takes that art style and seamlessly mixes it with a platforming/boss beat-em-up game that (at times) has the difficulty of similar titles (we’re looking at YOU, Boshy). Make no mistake, this game is not for the faint of heart. There is no “easy mode” to be found here. You will die. A lot. And that’s part of the charm, part of the Cuphead experience. 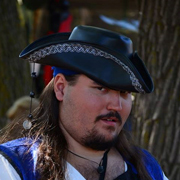 Going into a level or boss battle blind, seeing the mechanics, dying to something random on the screen, cursing, then repeating the process over again. It sounds tedious and frustrating but I’ll be damned if I wasn’t having an absolute blast playing the entire time. As fan of Disney’s 1930’s cartoons, the art style grabbed me when I first saw the trailer in 2014. The game just oozes creativity and passion for the style that they’re trying to portray and it shows in every detail. It also sounds incredibly authentic as well. With no two characters, bosses, or set pieces having the same sounds incorporated into them. The attention to detail blew me away. Cuphead is surprisingly deep in its structure. You play as Cuphead (and Mugman if you’re playing co-op) and travel around this huge Mario-esque map collecting soul contracts from various levels, bosses, and environments. There is a loadout system, where you can equip different powerups and other things to help you through a level or boss battle and part of the fun is equipping the different loadouts and seeing which ones work best against a certain boss or level. The game feels so unique in that respect even if its been done 1000 times before in other titles. If there is anything to knock the game on, it’s that there is no real indication that your character is doing damage to the boss during boss battles other than a quick white flash after your projectile hits it. It’s a little unnerving that it plays out like this and with no health bars for boss battles, it can make them feel a little dragged out over time. I hope they find a way to patch in a better hit/damage indication because as it stands right now, it’s a literal blink and you’ll miss it type of action. Cuphead! The game that almost wasn’t, until it was! A running joke of release dates have plagued the title for years. 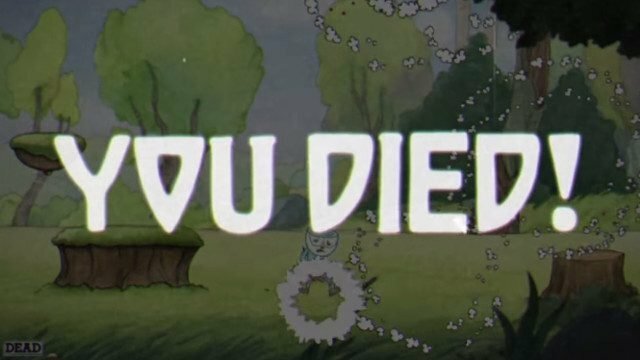 An indie title by StudioMDHR, Cuphead first began development way back in 2010. Announced officially at E3 2014 during Microsoft’s press conference, the game’s art style and gameplay won over would-be fans of the series. With a three-year post-announcement development time, was Cuphead worth the wait or are we looking at another Mighty Number 9? The game I didn't know I needed to play until I did. An absolute joy. 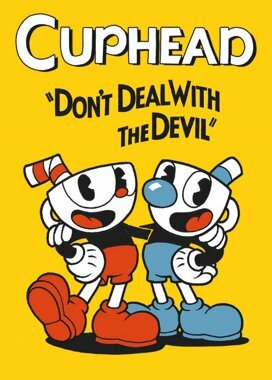 Cuphead is worth playing for anyone who fancies the art style or the boss rush genre. It's a beautiful, lovingly crafted title that has me wanting more. I really hope that we'll get either an expansion to this game or a sequel down the road with some minimal changes thrown in. I just hope it doesn�t take 7 years the next time around.